I'm excited to receive your personal message! Please be as specific as you can: if you are not sure of specifics at this point, generals will do. Form submitted successfully should appear in green. If you have not heard from me in a few days check your spam &/or 101,109,97,105,108,32,109,101em liame your details. Hello there! 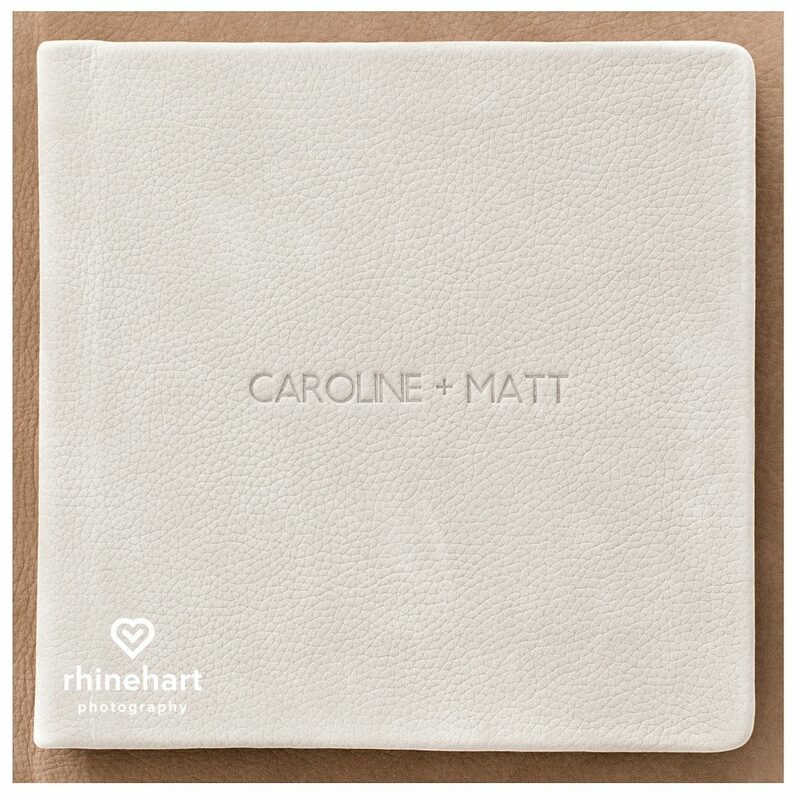 I am here to give you a peek inside Rhinehart Photography Wedding Albums– the materials we use, our design philosophy, and basically what we do and why we do it. You should come out with a better understanding of what we offer and which options will work best for you. Albums are a tangible, visual collection of memories from your wedding day that allow you to share and re-live your wedding story for years to come. 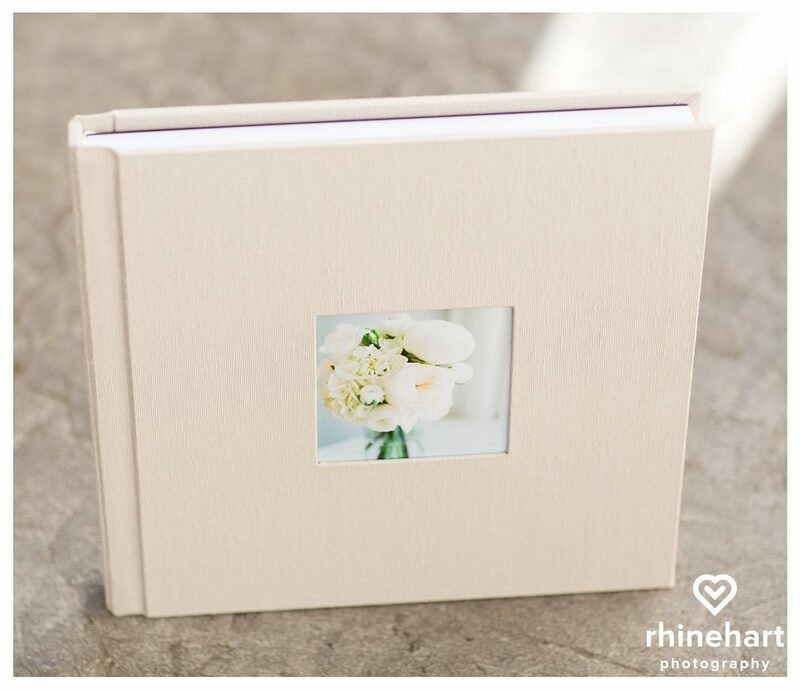 Rhinehart Photography albums are a carefully curated family heirloom that can be viewed by future generations regardless of how much technology changes throughout the years. I wanted my albums to be chic and luxurious while also being durable and able stand the test of time both physically and aesthetically. I also wanted them to be unique– customizable to my couple’s personal style. Here is a Japanese silk album with cameo detail…. 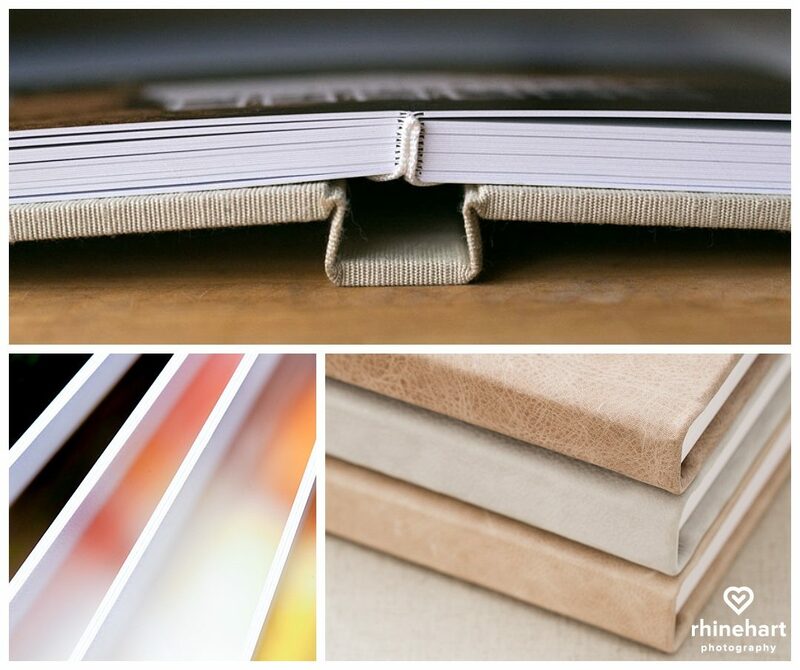 Rhinehart Photography albums lay flat so that images can span from one page to the next. In the case of our deluxe 12×12 albums, this means a single image can span 2 feet across! Pages themselves are incredibly thick and contain a thick sub-straight between each page. Our albums are hand-made in the United States. I value uniqueness in my clients and like to give options for customization. I offer many cover options from fine Italian leathers to Japanese silks and even Vegan fabrics. Offerings change from time to time, but here are a the Italian leathers that I am currently using. They feel incredible– very luxurious and thick– a material that woudl be used for a designer handbag. Here is a standard 10×10 30 page Italian Leather album with it’s parent replica album. Currently, our standard albums are 10×10 30 page albums and deluxe are 12×12 50 page albums. While two inches might not seem like much, it offers 44% more space– pair it with the additional 20 pages and the deluxe album fits roughly *twice* as many photos. That being said, either album can tell a complete wedding day story, it is just a difference in how much detail each is able to delve into and is really a matter of personal preference.